Noticing New York: This Is Rich! Looks Like Bloomberg is Making History. This Is Rich! Looks Like Bloomberg is Making History. Mayor Bloomberg is the wealthiest citizen of New York. We know that Mayor Michael Bloomberg’s wealth together with the fact that he is also Mayor amounts to something truly extraordinary. Nevertheless, after our remarks at City Hall on Friday concerning Mayor Bloomberg’s wealth and how he used it to overturn term limits we got to wondering whether there was any historical precedent for such a situation. We are not naive. We know quite well that there have been rich New York mayors in the past. Our own family tree is intertwined with the Crugers, both named John, two father and son mayors who we know were among the wealthy of the time (John Cruger, the 38th Mayor of the City, 1757-1766 and John Cruger, Jr., the 41st, 1757-1766). Don’t ask how the Crugers made their wealth. Some of the story is not so pretty and not something to be proud of. 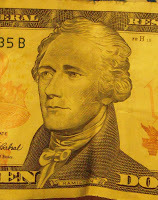 It didn’t make the Crugers themselves wealthier but one of their relatives, Nicholas Cruger, raised Alexander Hamilton and, as we all know, Hamilton is easy to associate with the idea of money. He was the first United States Secretary of the Treasury, helped found the mint, and established the first national bank, helped found the Bank of New York and has his face is on our ten dollar bills. Finally, by virtue of Hamilton's support of the compromise of moving the nation’s political capital to Washington, the New York Stock Exchange was created May 17, 1792 as part of the new financial system that helped turn New York City into the nation's financial capital. Yes there were wealthy mayors, but did we ever before have a situation before where the very wealthiest man in New York was also the mayor? Mr. Marrone’s caution about the vagaries of how wealth is determined is worth paying heed to. 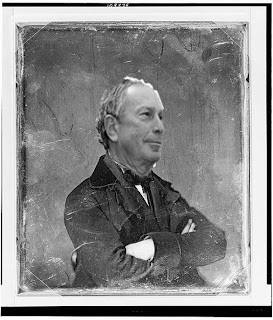 When we say that Mr. Bloomberg is New York’s wealthiest citizen we are going by the Forbes rankings. To be absolutely fair, this year Mr. Bloomberg’s wealth at $17.5 billion is only calculated as exceeding his next nearest rival for the title, David Koch, by a mere $1.5 billion, a close call. However, while $16 billion is relatively close, the next two New Yorkers down the list, Carl Icahn and Ronald Perelman, have significantly lower net worth figures at $10.5 and $10 billion respectively. That leaves room for a lot of calculation error. Thereafter you get down to people whose wealth is well below half of what Bloomberg has (much closer to a to a third): John Paulson at $6.8 billion and Rupert Murdoch at $6 billion. Everyone else is at or below $5 billion. The amounts tail off quickly. There is also something else to be compared when comparing these lists: The extent to which the wealth of these New Yorker has increased over time. In 1997, the first year Bloomberg’s political aspirations, including his specific desire to be mayor were first publicly disclosed, Bloomberg’s wealth was calculated as $1.3 billion, a fraction of his current $17.5 figure (7.4%) and below Donald Trump’s $1.4 billion of the time. But that year Ron Pearlman’s net worth was $6.5 billion, 65% of what it is now. Rupert Murdoch had $3.9 billion, which is also 65% of the current Forbes figure for his wealth. Carl Icahn’s wealth was $2 billion (19%). David Koch’s wealth, $2.2 billion, originally inherited, was a smaller fraction more like Bloomberg’s small fraction (13%). John Paulson, who started his hedge fund company in 1994, was not on the list. This leaves us with some other questions. 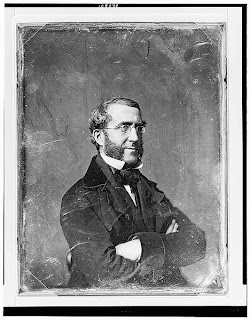 We presume that history doesn't tell us that Havemeyer's wealth increased significantly while in office. Might there be someone else very wealthy whose wealth increased dramatically while in office? We recognize that Boss Tweed and quite a number of other (less wealthy) politicians made a lot of money and formed companies (often secretly or in the background) to profit by business that could be done with the city or by virtue of city endeavors that involved major conflicts of interest. But was there ever a truly wealthy mayor with a personal business empire where the nature of that business meant that his empire or set of business enterprises was routinely doing business with most of the companies with which the city had commercial dealings? Havemeyer's wealth came from sugar. That means that, certainly by the time later Havemeyers established the Sugar Trust, New Yorkers all paid higher prices since everyone uses sugar (a la the new movie "The Informant" about ADM's price fixing of commodities that every American has consumed and paid a higher price for “by the time they have eaten breakfast”). Probably, however, the city was for the most part not doing business directly with Mayor Havemeyer or with Havemeyer's sugar companies though there might have been some issues with things like wharf access. On the other hand, Havemeyer may have benefitted from the overview of city affairs he got as mayor: He invested heavily as a stockholder of the Long Island Rail Road. Back to the peculiarities of the present day. It seems to be inadequately appreciated that Bloomberg’s Bloomberg LP does business with almost every major company in the city. Most of Bloomberg’s wealth comes from the sale of the Bloomberg financial terminals, not from his media company activities. A lot of media companies are not doing well these days. It is Bloomberg’s terminal sales that are likely financing his recently announced acquisition from McGraw Hill of “Business Week,” competing business publication that like a lot of others has not done very well recently. While Bloomberg LP is doing business with every major company in the city, the city is busily granting companies concessions over which Bloomberg’s administration has substantial discretion. Take one big company as an example, Goldman Sachs. Goldman has a new building in Battery Park City which was allowed to override the Battery Park City master plan, was granted extra density and tax breaks. Meanwhile, despite the fact that the city’s Conflicts of Interest Board said that he should not do so, Mr. Bloomberg calls up his business to check on terminal sales numbers. All that it takes for a big company to send money Bloomberg’s way in what could be the equivalent of a kickback or a political contribution is to order more terminals. Political contributions are not tax deductible, but paying for more terminals than you really need is. Mr. Marrone mentions that Teddy Roosevelt ran for mayor. Teddy Roosevelt may have been wealthy (and he didn’t get to be mayor when he ran- he came in third) but we remember Teddy as a reformer. We remember Teddy as the “trustbuster” who didn’t believe in monopolies (including the sugar trust). But whose side is Bloomberg on? One pretty good indication: Bloomberg is a man who fights for monopolies like Atlantic Yards that are disastrously draining our dwindling public coffers. Suffice it to say, we are concerned. Is this the kind of history we want our city to be making? I turn to irony and humor to say no third term.